I'm a big kid, I know, and I'm pretty sure that Anders Lichinger will be as pleased as punch to hear me say that out loud. 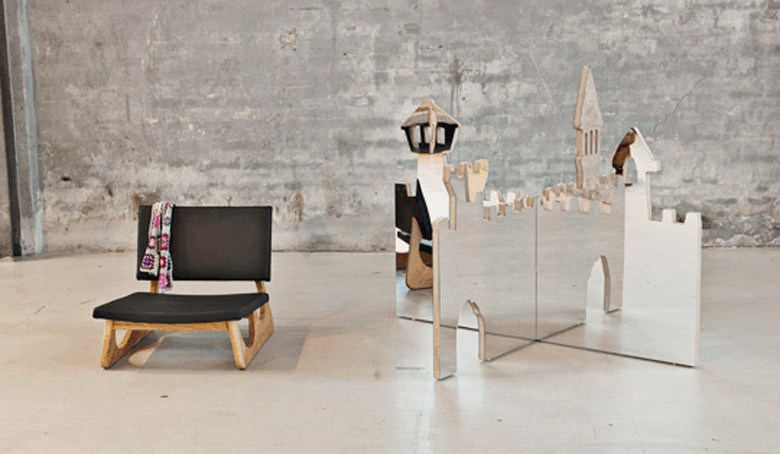 You see, Anders had people like me in mind when he created his new toy design company in Denmark. 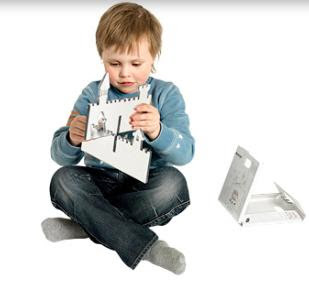 Artistoys is about Play with a capital P. It's for big'uns and littl'uns and boy is it good! Artistoys' first toy to hit the market is The Mirror Castle, created by Jeppe Hein. 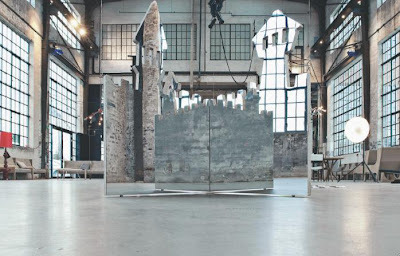 This beautiful, simple castle comes in three sizes and has four rooms that have a triple mirror effect, creating a feeling of infinite space. Remember the first time your child saw him/herself in a mirror? The fear, the fascination, the giggles? Hein's Mirror Castle is a mirror, a castle and a toy. It's a space for children to discover themselves, invent stories, stage battles, prepare banquets and explore through reverse reflection. It's an Artistoy, a toy made by an artist, to stimulate children's imagination and allow them to learn through play. Travel through the giant looking glass to unknown lands a far! Artistoys boast 23 retailers in Denmark in two months and has been invited to present its Magic Castle at Expo 2010 Shanghai. 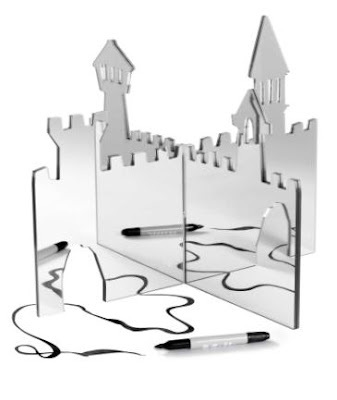 If you ask me, it won't be long before we see its first toy in all the best kids' design shops across Europe and The Mirror Castle is already on my top 10 list for Christmas! oh I love this!!! So cool. I might have to get it for my little boys! Thx so much for sharing this. It's a very good one. Wish I spoke some Danish for the magazine!!! I absolutely LOVE this. As a child I used to love castles, what am I talking about? I still love castles. I want one! oh c'est bien.... Martine adore s'observer dans la glace! factory 20 for him and monki vintage for me! yes! you've covered alot of ground since i stopped here last. thanks for all the goodies!